Kentucky Gov. Matt Bevin has apologized to those offended by recent remarks insinuating that walkouts by teachers have left children unsupervised and vulnerable to sexual assault. He also thanked supporters "who understood" his comments on the protests that forced the closure of more than 30 school districts in his state. 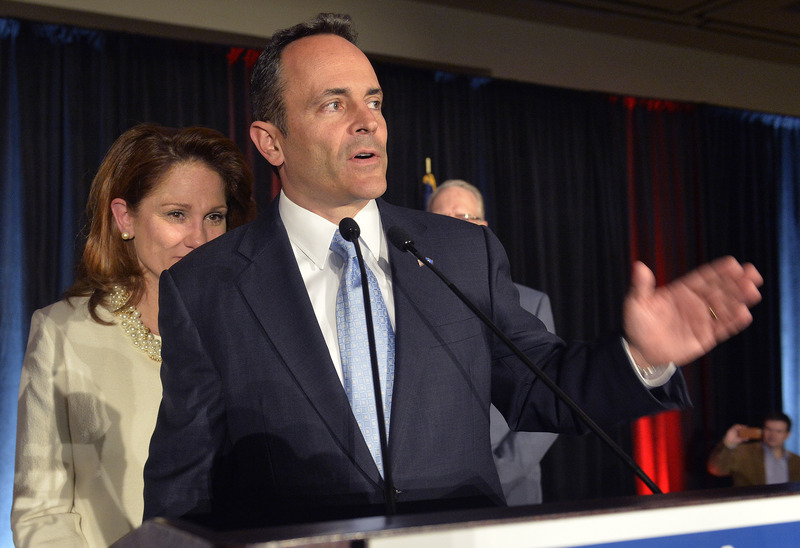 "I apologize for those who have been hurt by the things that were said was not my intent whatsoever," Bevin said in a video message Sunday. "For those of you who have been hurt, it is my absolute sincere apology to you, it is not my intent to hurt anybody in this process but to help us all move forward together." Bevin had come under scrutiny after he told a reporter children left at home could be susceptible to sexual assault or even be poisoned. "I guarantee you somewhere in Kentucky today a child was sexually assaulted that was left at home because there was nobody there to watch them," Bevin said Friday in a video tweeted by WDRB-TV reporter Marcus Green. "I guarantee you somewhere today a child was physically harmed or ingested poison because they were home alone because a single parent didn't have any money to take care of them. I'm offended by the idea that people so cavalierly and so flippantly disregarded what's truly best for children." His comments came shortly after Republican lawmakers voted to override his vetoes of a two-year operating budget that included increased spending for public education with the help of an accompanying $480 million tax increase. Thousands of teachers gathered at the Capitol to ask lawmakers to override the vetoes. More than 30 school districts said they were forced to close because they didn't have enough teachers.